This year Easter Sunday falls on the last Sunday of the Term 1 holidays. That means that our Junior and Senior School Easter services, held at St Mark’s this week, are a little early! The Easter story is at the very heart of Christian faith, and actually every single Sunday of the year is a ‘mini-Easter’ celebration. Every Sunday the Church gathers to renew our hope in the divine light, a light that has the power to shine in the darkness, and that cannot be overcome by anything else in the world. Jacinda Ardern has recently spoken about New Zealand’s ‘darkest day’, and our hearts have gone out to the people of Christchurch, many of whom are struggling to feel secure again after very recent earthquakes, and now a most heartless act. In the face of such darkness, the Church does not bring easy or trite answers. It has become common-place amongst young people to say that “everything happens for a reason”, but who would want to say that to the people in Christchurch? What the Christian faith does dare to say, however, is that no amount of darkness can put out the light of God. These cruel events confront us with the reality of evil, and the terrible devastation that lies in its wake. But, as we have seen over the last weeks, evil does not have the last word. Light continues to shine in the acts of compassion and kindness offered by so many. The light of the many candles that have been lit reflects the light of humanity, a light that finds it source in the merciful heart of God. As we celebrate Easter this year, let us pray for those who find themselves in darkness; let us look for signs of the divine light that will not be overcome; and let us give ourselves anew to that rule of light, and be glad. Here is an ancient prayer that you may like to use in the weeks leading up to Easter. May I wish all our school families light and hope during this Easter season. The question of homework is often a contentious one no matter what the age or year level of the student. Often it is about the amount, either too little or too much. Highly regarded research by John Hattie who is currently Professor of Education and Director of the Melbourne Educational Research Institute at the University of Melbourne, illustrated through his longitudinal, global meta-analysis research that traditional homework both in primary and secondary schools is not very impactful on student learning. However he argues that we need to ‘get homework right, not get rid of it’. > What is the purpose of homework? > Is it having a positive impact on learning? > What does the current research tell us? > What do we value as important for a student when she goes home after her day at CGGS? We found that for some students and families, homework is not a positive or productive experience. Yet for others, it helps to set important routines and study habits that can contribute to successful progress in student learning. In trying to ‘get it right’ we began to focus on the idea of home learning rather than homework. This phrase that is more focused on a person’s ability to learn new information or skills with the possibility of applying it to new or emerging contexts or create new value. This inspired the development of our home learning framework, called the PACED Home Learning Framework. It is often difficult to challange longstanding perceptions around understandings and routines that many of us experienced as children ourselves. The notion of ‘homework’ is no different. However, we have a responsibility to our children to ensure that we are providing them with the best learning opportunities informed through the best contemporary educational research. PACED home learning is reimagining homework rather than reducing or eliminating it. It is about structuring homework for a purpose so it has meaning for the student. 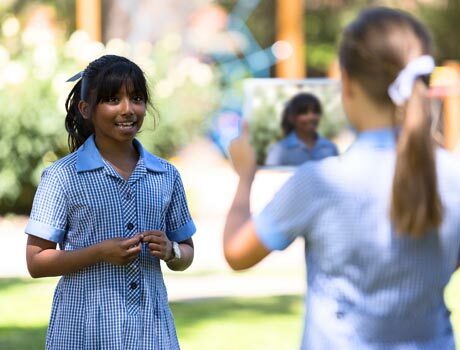 At CGGS we are committed to our students developing the competencies that will prepare them for their future. So we are making our home learning ‘fit for purpose’ and in John Hattie’s words ‘making it right’. I share with you below their introduction to the CGGS PACED Home Learning Program in 2019. > Year 6: Complete your role’s task sheet for Literature Circles prior to our weekly meeting. This week your role will be one of the following: Discussion Director, Questioner, Vocabulary Enricher, Contenessa Comprehension, Connector or Literary Luminary. > Year 9 English: Complete a body paragraph of your own using the TEEEEL structure. Use one of the topic sentences from the PowerPoint in today’s lesson. > Year 10 Science: Complete a summary card about our Physics unit. Your summary should include the following concepts: Forces, Newton’s Laws of Motion, gravity, friction, air resistance, displacement, speed, velocity and acceleration. > Year 4: In our recent STEAM lesson, we learnt about computational thinking and branching. For home learning design, present a flow chart to help teach a family member how to complete an everyday task such as making a cup of coffee or walking a dog. > Year 8/9 Future Design Thinking Elective: In class we have been learning about the idea of using STEMpathy for design. This week, you need to use an empathy simulation relating to your design challenge with family and friends, and survey them on their reactions, which will inform your final decision. All home learning tasks that students undertake fit into one of these categories. In alignment with current research, extensive review, focus groups and community surveys, PACED reimagines what homework can be. It clearly articulates that home learning is purposeful and helps students to see connections in their learning therefore developing deep understanding. As a school community, we value intellectual inquiry and students having every opportunity to develop high quality work in response to their learning. We also recognise that learning goes beyond the classroom. > Engage with home learning, where appropriate. 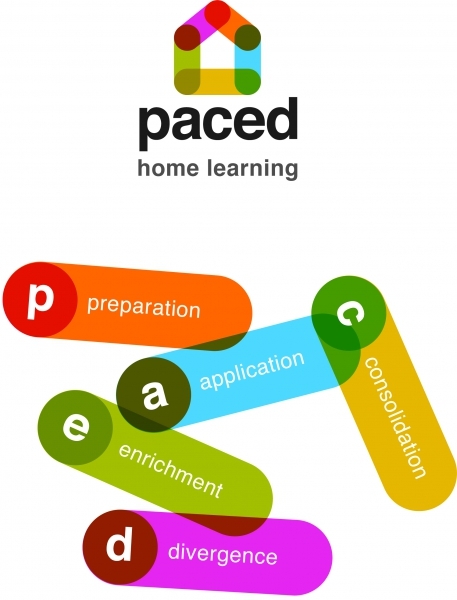 PACED Home Learning is designed by subject and class teachers to build confidence and rigour, and supports students to take increasing responsibility for their own learning. Students across the Junior and Senior Schools have expressed their appreciation of our purposeful approach to home learning. Families are encouraged to be in contact with their daughter’s classroom teacher, form/tutor teacher or Year Level Coordinator if they would like further information about their daughter’s home learning. Did your daughter wear funky colourful socks to school today? Have you been aware of women around town wearing purple today, or maybe even white or green? Have you wondered about the significance of International Women’s Day? 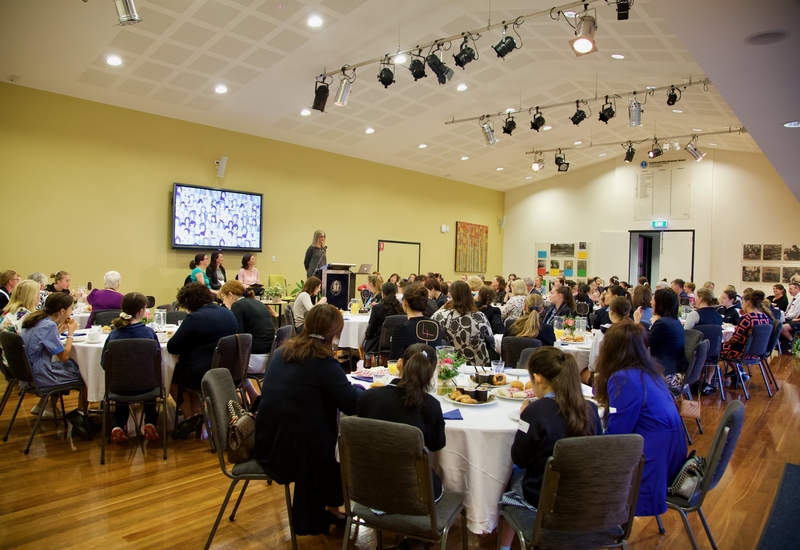 This morning we commenced International Women’s Day with an inaugural celebratory breakfast, attended by council members, staff, students, parents and old grammarians. Our special guests were four inspirational old grammarians who embraced the school’s mission to make the world a better place, by working to give hope and extend the hand of friendship to young immigrants through the power of music. So why the colourful socks… and why is International Women’s Day associated with the colour purple ? International Women’s Day had its inception over a century ago, when the first National Woman’s Day was observed, not instituted as a glamorous celebration by women who seemingly ‘had it all’, but in support of 15,000 women who had protested against their horrendous working conditions during the 1908 garment workers’ strike in New York. The movement to advance women’s rights soon caught on and widened to demand the rights to vote, to hold public office, to receive training at work and to end discrimination against women, in general. So in 1911 the first International Women’s Day was observed throughout Europe and by 1913, March 8 was been set aside as the day for observances. Three colours were chosen, with purple being predominant to represent dignity and self-respect. Green was chosen to represent hope and new life, while white represented purity in public and private life. The United Nations declared 1975 to be International Women’s Year and celebrated International Women’s Day for the first time. Ever since, a theme has been assigned each year to act as a platform to unify women worldwide and advance equality for all. To enable women to realise their potential, to secure better futures for the sisterhood, while at the same time celebrating the achievements of women, whether they be social, cultural, economic or political. This year’s International Women’s Day’s theme is #BalanceForBetter. As a school in our response to this provocation, we are already unconditionally committed to a gender equal world and understand our responsibility to support or develop social innovations that can provide the best opportunities for women and girls. While being cognisant of the overarching #BalanceForBetter theme and weaving the ideal into our 2019 programs, we have adopted one of the International Women’s Day values in particular: Hope. 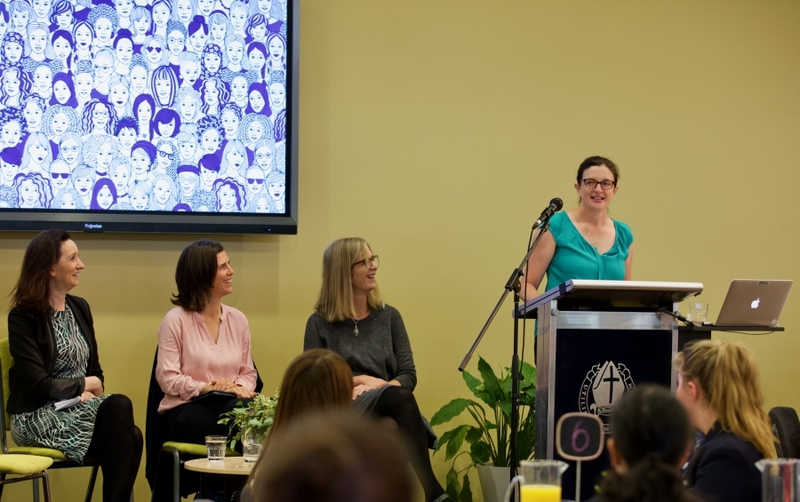 This morning, those attending the inaugural International Women’s Day breakfast were privileged to listen to four of our 1993 graduates speak of their innovative initiative, Piano Project. Georgina Imberger, who laid the foundations for the enterprise, inspired her friends Amie Herdman, Christine Willshire and Cate Robertson (Vaultier) to join her. Their mission being to help young immigrants to settle into Australia at a time when their families are adjusting to cultural changes and finding homes and work. Their charity sponsors piano lessons free of charge, with funds raised through classical music recitals. Through the hand of friendship, with music as the channel, the children learn to trust, to believe and to hope that all will be well. On International Women’s Day our MakerSpace hums to the sound of sewing machines and girls enjoying each other’s company, while they stitch and assemble sanitary packs for worldwide distribution to girls for whom monthly periods come at great cost, especially to their education. Volunteering for Camberwell’s Days For Girls group is hugely popular, particularly with the Year 10s. It is considered a privilege to take part, as everyone can empathise with girls who are forbidden to attend school on the days when they are menstruating. The impact of girls having their education interrupted one week in every month resonates with our students. Without question they embrace the responsibility and desire to make the lives of girls who are less fortunate easier and more equitable. Their commitment brings hope to others so girls can achieve their potential at school. Our aim is that all girls can ultimately contribute to the successes of their own community, as do our young women, rather than leaving school to get married and have children at an early age, thereby perpetuating an injustice. The celebration of women who worked for NASA and fought for justice and equality in the 1960s was the theme of Junior School’s assembly this week. The Year 5 girls recounted the women’s courage and belief in themselves during a time of heightened racial and gender inequalities. Through sheer tenacity, resilience and the utter determination to be respected for their academic acumen and professional abilities, they achieved the seemingly impossible by being included on male-dominated teams to help solve complex problems. In so doing, they became international symbols of hope, and today their courage teaches young women that they too can speak out for a balanced world, to achieve the best outcomes when women and men work together. At the conclusion of today’s breakfast celebration, the School Wellbeing Captain, Isobel Arnot, invited everyone to stand and raise their arms in a gesture for #balanceforbetter, signalling the need for more gender balance in the world. 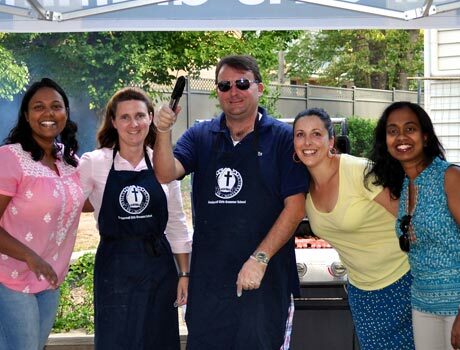 As a school, through our mission, values and service learning programs, we aim to think globally and act locally. 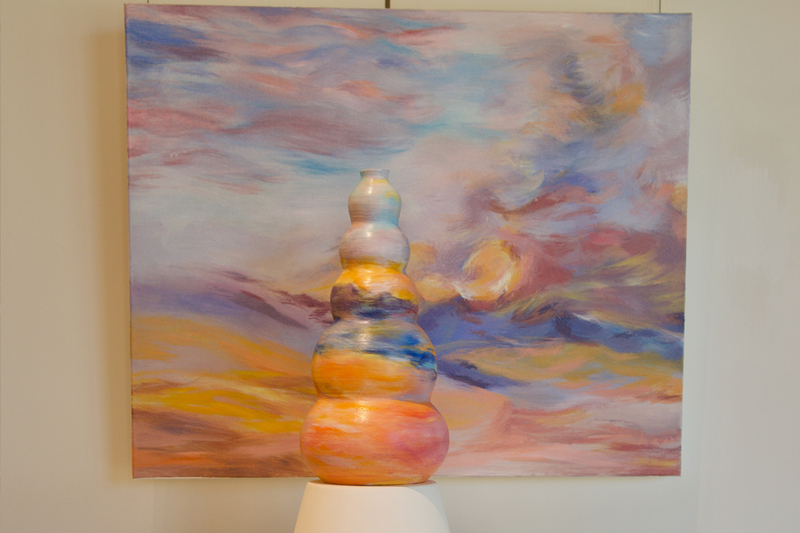 We strive to play our part to bring about a balanced world. The challenge for us is to make everyday an international women’s day, by living in hope and celebrating our own milestones and achievements as a school and those of significant women along the way. Blessed with amazing weather, excited student stallholders, continuous entertainment, plenty of food including dumplings, spring rolls and cakes made with a lot of love and care, amazing stalls, exciting rides and an enthusiastic community, we all enjoyed a magnificent Summer Spectacular two weeks ago. Thank you for a lovely day on Saturday. We recognise that putting on the Summer Spectacular requires a huge commitment of your time. Many emails, notes and compliments have been received and I know that many prospective families ‘felt’ the sense of community as they explored our campus on the day. Thank you to all members of our community who assisted with the events or participated on the day. I would particularly like to thank the organising team for such a fantastic effort. Led by Kate Daffy from our Foundation Office, the fair was so well set out enabling people to engage with each other readily. Kate was ably assisted by the Foundation Team, Maintenance Team, Marketing Team, Finance Team, AV Team and staff. Also making a significant contribution were our Parents and Friends Association and Old Grammarians. In particular, our parent teams were phenomenal. Some groups met on weekends to plan their stall, food was carefully prepared and many parents spent several hours at school assisting with the set up and pack down. Thank you to Linda Black, John Downes and Cara Davey for their support and leadership of these groups. Whilst these purchases are highly valued in the program, I also want to highlight that Summer Spectacular was a wonderful community event. Many students, parents, staff and friends of the School have all indicated how proud they felt on the day to be a member of this fantastic community. In the end, that is what really matters. Most of our best ideas come, or are nurtured and take shape when we are exploring them with others and as a learning community, our staff learning is a priority. At CGGS, our commitment is to provide a relevant education for our girls that will enable them to flourish in a vastly changing world. As a school, we are also heavily invested in the development of compassionate young citizens, who have the opportunity to contribute to creating a more just and sustainable world throughout their education at school and beyond. It is therefore essential that our staff professional learning also provides the support to our staff in their development of the curricular and co-curricular programs to realise these aims. This year we are undertaking a number of staff professional learning projects and programs at Ormiston and in Senior School and I would like to share some of these with you. We are delighted to be partnering with a number of national and international experts to ensure that our work is supported by the best research. Building on the solid foundations of teaching and learning at Ormiston we are undertaking a curriculum project which will further strengthen and offer new insights into our learning environment. This curriculum project is facilitated by Ms Emma Hinchliffe, Deputy Head – Teaching and Learning at Ormiston, Dr Charlotte Forward, Director of Learning Design and Development, and Mrs Ann Beck, an education consultant. In Term 4 2018 the Junior School teachers began to focus on further developing rich inquiry units which explore big questions in Science, Humanities, Digital Technologies, Health and Physical Education. To ensure that we are offering best practice in teaching and learning we are using academic and classroom-based research evidence from education experts Guy Claxton and Kath Murdoch. This curriculum project will continue to be a priority for the 2019 school year as teachers review and refine their curriculum documentation by using an evidence-based framework to plan for the stages of learning. This includes authentic assessment tasks; key skills and understandings; catering for learning dispositions; and the use of visible thinking routines. Junior School meetings provide opportunities for teachers to share and discuss their work. Through quality inquiry, students will develop deeper knowledge within and across disciplines of how the world works and will develop a set of skills which will enable lifelong learning. The inquiry approach incorporates explicit instruction of information literacy skills, vocabulary, research and organisational skills. Under the leadership of Dr Charlotte Forwood, Director of Learning Design and Development, Junior School teachers are working with Dr Flossie Chua from Project Zero at Harvard Graduate School of Education and Independent Schools Victoria on the Idea into Action project. Project Zero leads global research into the field of education. Click here for more information about Project Zero. Junior School teachers are currently developing rich units of inquiry using a pedagogically sound, evidence-based framework which has been tailored to the CGGS context. These units incorporate explicit instruction, use of thinking routines and development of key enterprise skills. Dr Flossie Chua has been working with teachers to consider the interdisciplinary possibilities for their units. The Idea into Action project runs alongside the development and implementation of inquiry units by providing teachers with tools to use to assist with this action. As well as trialling the tools that have been developed by Project Zero, teachers will also be providing feedback about the usefulness of the tools and make suggestions for future tools to be shared more widely. The Healthy Minds Program was developed by an award-winning clinical psychologist Dr Tom Nehmy from Adelaide in South Australia. After working as a clinical psychologist in government, corporate and private practice, he became concerned about the number of clients (both children and adult) who exhibited signs of unhelpful thinking and behavior that could have been prevented. Dr Nehmy’s observations developed into his PhD research project at Flinders University that has subsequently given rise to the Healthy Minds Program. Published in the prestigious international peer-reviewed journal Behaviour Research and Therapy, Healthy Minds teaches the skills of effective emotion regulation, helpful decision making and balanced thinking. Healthy Minds was awarded the Flinders University Vice-Chancellor’s Prize and is developing an international reputation in health and education as a highly effective program. This year CGGS has partnered with Dr Nehmy to conduct this program in Year 8 during Term 2, training staff and students, providing an information evening for parents accompanied by weekly parent modules. At the conclusion of this program Camberwell Girls Grammar School will be the first fully accredited Healthy Minds School in Victoria. We are very grateful to the Parents and Friends Association for providing the funds to undertake this program and accreditation in 2019. A former teacher, Summer Howarth has been instrumental in assisting teachers to lead innovation and change in a range of educational environments including schools, universities and government. She has been recognized on The Educator Hotlists, holds a number of positions on boards, has been an advisor to the UN on Sustainable Development Goals and was awarded the Paul Harris Fellowship for her services to Education. Summer held the role of Director of Learning Design and Events at Education Changemakers and is now the founder of The Eventful Learning Company. She will be working with teachers throughout 2019 on a number of projects in her role as a strategic assistant. This will include developing opportunities for our Senior School students to connect with organisations beyond the classroom and exploring the potential for collaborations, internships and more. Summer has a broad skillset and considerable connections across business, government and education sectors. We look forward to tapping into her expertise and networks to develop unique experiences for our students. I am also delighted to announce that CGGS has been invited to participate in the Mungo Youth Project. The project is a student led research program that explores Aboriginal culture and culminates in a four day conference in May hosted by the traditional elder communities within the Mungo/Willandra Lakes Region World Heritage Area. The conference aims to create an authentic student-centred approach to learning by bringing together young people with mentors, pastoralists, National Park rangers and scientists to directly engage with history and culture. The students will be immersed in activities to understand contemporary challenges such as reconciliation and climate change, whilst developing an understanding of the Aboriginal connection to the land. Each school invited is limited to eight students and accompanying staff. 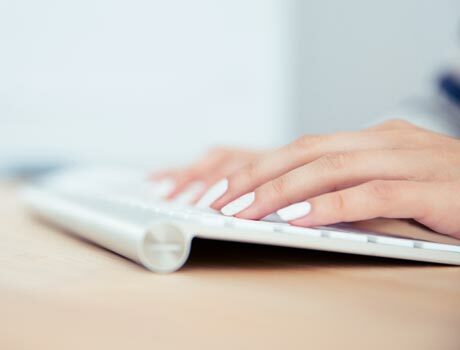 Whilst I have outlined a number of our key projects and initiatives for this year, there are many other department priorities that are also continually reviewed and developed. I will share further developments throughout the year. We are so fortunate to have such a highly motivated and engaged staff at CGGS! I look forward to seeing you all at Summer Spectacular tomorrow as we celebrate our amazing community. I warmly welcome you all to a new school year at Camberwell Girls Grammar School. I hope that you enjoyed some joyous and relaxing time with family and friends during the break. The return of our students is such an energising time as you feel the excitement in the air with the promise of new beginnings and opportunities. For those students who are commencing their formal education in Early Learning 3, Foundation and at the start of secondary school in Year 7 it is important to acknowledge the significance of these milestones. At the conclusion of 2018 we celebrated many student talents, reflections and achievements at Presentation and Graduation evenings. This was followed by receiving the news of another year of outstanding VCE results and subsequent university offers for the Class of 2018. As we enjoy the start of a new year and new beginnings, there is a great sense of satisfaction in the personal stories of the achievements of the Year 12 cohort at the end of the year. I would like to thank our VCE teachers for their commitment to and support of the girls during their final years of schooling. It is important to also recognise teachers from earlier years as they too engaged, inspired and supported the girls throughout their journey to young adulthood. As we all know, the ATAR tells only one part of the story; the gifts of contribution to the CGGS community and service to the wider community are also highly valued. Success is not just about what our students have achieved, but it is also about the type of person they have become – and yes, again, I feel immensely proud of these girls. 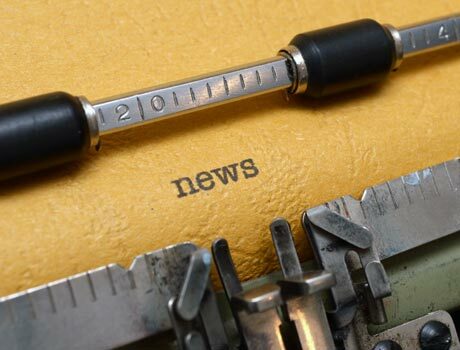 > At the time of writing, two students have been awarded entry into prestigious Vice Chancellors Scholarship Programs with three other students awarded entry into Scholars Programs with Scholarships for Biomedicine. These competencies require us to look beyond just attaining knowledge and developing skills. It requires us to apply what we know to new and emerging situations and require other personal qualities to succeed such as curiosity, courage and kindness. Fiorella is a highly experienced and innovative classroom teacher who joins us from Caulfield Grammar School. Mikaela has covered a number of short term leave positions at Ormiston and we are delighted to welcome her as a classroom teacher this year. Jasvinder has also covered a number of short term positions at Ormiston and will be joining us in Year 4 this year. Prior to completing her teacher training, Jasvinder worked in Marketing for the Department of Education. Anne-Maree is a highly experienced leader and teacher of early learning students. She comes to us from a management role at the Canterbury and District Pre-School. In addition to teaching Physical Education, Liana has also developed an external program for early learning aged children focussing on movement. Her most recent teaching role was at Strathcona. Marianne joins us as a highly experienced Voice and Choral teacher who has worked with students in both primary and secondary settings. Kathryn is a highly experienced Education Support Assistant who also works at Camberwell Grammar School. James is a highly experienced teacher who has also held a number of educational leadership roles at a number of schools. He is also an examiner for Business Management. James will take on the position of Year 10 Coordinator at CGGS. Kirsten is a highly experienced English teacher and leader of English teams and most recently taught at Brighton Grammar School. In addition to Georgia’s experience as a VCE teacher, she has also been involved in many social justice initiatives in areas of indigenous, sustainability and respectful relationships programs. Whilst Tom has taught briefly in a few Melbourne schools, he has most recently been teaching senior Geography in London. Kim is a highly experienced teacher who has also held a number of educational leadership roles at Knox Grammar. She is also an examiner for Biology. Kim will take on the position of Year 8 Coordinator at CGGS. Paige is an experienced Mathematics teacher – Mathematical Methods and Specialist Mathematics. She is looking forward to teaching in a girls school. Alistair is a highly experienced Mathematics and Physics teacher who also has a passion for coding. He is taught in both regional and metropolitan schools. Daniel is a passionate Mathematics teacher who has also worked as an Education Support Assistant at Bialik College. Sabrina joins us from Ivanhoe Girls Grammar School, to teach Chinese having previously taught at CGGS in 2011. Ingrid is a highly experienced VCE and IB German Teacher who joins us from St Leonards College. Melissa is an experienced French Teacher who has also studied Law and International Relations. During January she studied a short course at The Sorbonne in Paris. Jacquie joins us for Semester 1 as she covers a long service leave replacement. She is a very experienced health professional and has previously worked at Strathcona. We were also delighted to welcome back from leave Mrs Ritsa Athanasiadis and Mrs Meagan Wilson and I would like to welcome Miss Sophie Brugliera, Miss Monica Clarke and Ms Harriet Cooper as our Deakin Associate Teachers for 2019. 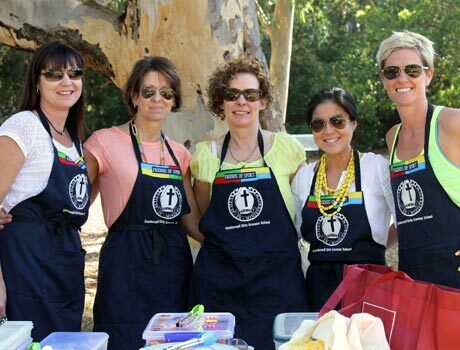 I am very excited about the calibre of our teaching team and the extensive programs and opportunities on offer for our girls here at CGGS this year. I am also pleased to report that we have completed the renovation of our Woodstock Science Laboratory, refurbished the Senior School Female Staff Toilets and completed painting and maintenance across the school. The final stage of our Science re-development project will be the renovation of the Chemistry and Biology Laboratories, planned to commence later this year. 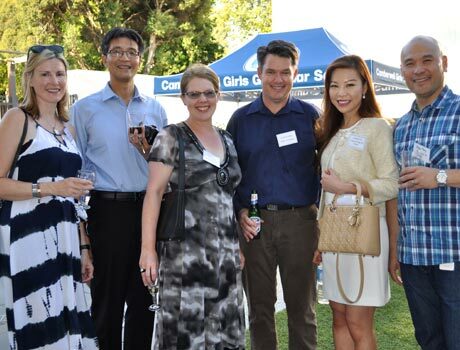 At CGGS we are committed to the importance of a quality education. Academic success is not just about building the knowledge, skills, attitudes and values that we need. It is also about how we create new value, reconcile tensions and dilemmas and take responsibility for our actions. So to build a meaningful future through our own practices of curiosity, courage and kindness. 2019 is the Year of the Pig 猪年, which began on Tuesday 5 February and continues for two weeks until celebrations draw to a close on 19 February. 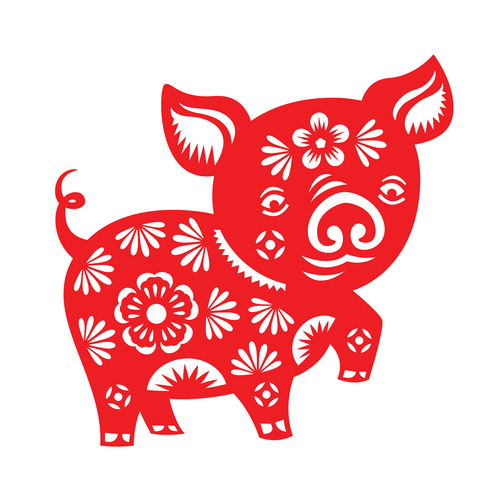 The pig is the twelfth of the Chinese Zodiac animals. In Chinese mythology, the Pig represents good fortune, bravery, compassion and generosity. It is often said that people born in the Year of the Pig are fun-loving, happy, trusting and brave. More than one billion people across the globe celebrate Chinese New Year every year. At CGGS, the Chinese Department and International Captains have organised a range of activities to share the festive spirit, everyone is welcome to join. You can watch the spectacular lion dance performance, sample some delicious Chinese food from the Fig Tree Café, try your hand at the art of calligraphy, Chinese painting, lantern making, paper folding or Chinese knotting. In this most auspicious Year of the Pig, we wish everyone a productive and successful year ahead. 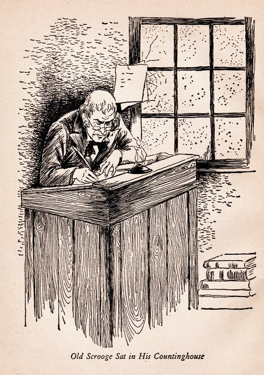 Charles Dickens’ introduces Ebenezer Scrooge, (in his classic novel A Christmas Carol), the embittered man whose deceased business-partner, Marley, pays him a ghostly Christmas Eve visit, in an attempt to make him see the error of his ways. At Christmas we are different, and we expect different things of life: that it be kinder and gentler to us. At the heart of the Christmas celebration is a story that is both stunningly simple and complex. It is the everyday story of the birth of a baby, a baby like all other babies . . . but this little one is also a baby like no other. For this one is the eternal God with us, the God who hovered over the “void” at the beginning of creation; the infinite source of life, love and mercy – now here with us in human form, having thrown off his divinity in order to share our human life. “A merry Christmas Uncle! God save you!” cried a cheerful voice. It was the voice of Scrooge’s nephew . . .
What right have we to be merry? It can be hard at times to give our consent to the hopefulness of Christmas. 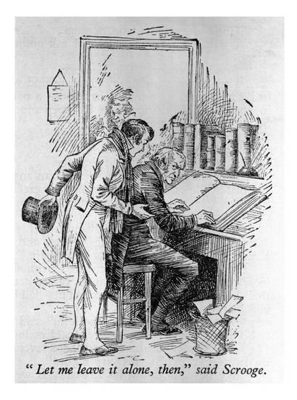 Surely it is “foolish”, as Scrooge describes it, to let down our guards and be generous, open and joyous. Especially when we might be disappointed in so many ways, when our hearts might be broken, when someone we love is coming to the end of their life, when circumstances for so many in the world are so brutal. On the other hand, there is much we do want to celebrate: the love of family and friends, the fulfillment of our dreams, the sickness that has retreated, the family difficulty that has been healed. There is certainly much to be thankful for . . . but the source of the hope that comes from Christmas is deeper than any of these things. This is a hope that is to be found, not in what we have but in who we are for God, and who God wants to be for us. The baby Jesus grows up to tell us that we are his brothers and sisters, and that God wants to be our divine friend and companion, so that at every point of darkness, we trust that God’s light is finding the way through. At Christmas we are invited to feel the relief of this reality. And we are invited, like Scrooge, to be released into a new kind of life, even if just for a moment! This is a life where we might live more generously, less nervously, not because we have resolved to do so, but because God is working his way of love in us, and for us. When Scrooge is returned to his bedroom after a night of travelling round with ghosts, he is a man whose true heart has been returned to him. He buys a prize turkey for the impoverished Cratchit family, has dinner with his nephew, and on Boxing Day gives Bob Cratchit . . . a raise! May I wish the Camberwell Girls Community a very merry, and occasionally foolish, Christmas. My prayers are especially with those who face difficulty or pain at this time. *Laocoon = a Trojan priest killed, with his sons, by two sea serpents after warning the Trojans against the wooden horse. There is a famous statue which depicts him being entangled. 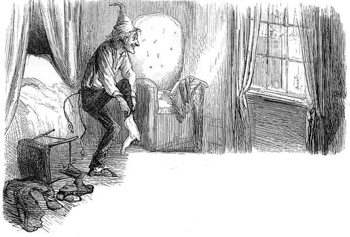 Scrooge is in such a hurry to get dressed that he is getting caught up in his stockings. 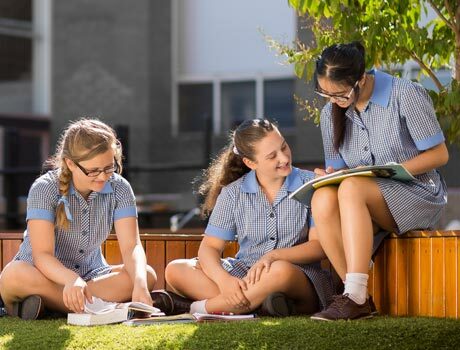 Camberwell Girls Grammar School (CGGS) is recognised as one of Australia’s leading girls’ schools offering an innovative and diverse curriculum delivered by highly skilled and passionate staff. The school’s vision is to be a leader and innovator in the education of girls, dedicated to fostering a passion for learning and building a more just and sustainable world. We are committed to child safety and have zero tolerance of child abuse. We are currently inviting expressions of interest to join the CGGS Council to fill a potential vacancy. The CGGS Council invites membership from within and external to the school community and seeks to maintain a breadth and balance of key skill-sets, perspectives and gender. In filling the potential vacancy, it is a priority for successful applicants to have skill, experience and background in any of the following: Accounting & Finance, Architecture & Property, Legal or Information Technology. The successful candidate may also be a member of the Finance & Audit Council sub-committee, Property Council sub-committee or Risk & Governance Council sub-committee. The CGGS Council meets twice a term, on a Monday evening at 7pm. Council members who also participate in a sub-committee meet up to five times a year. Additional meetings and functions are convened as necessary. If you are interested in becoming a member of the CGGS Council please submit a completed nomination form and forward it, along with your CV to the Company Secretary, via email to financeops@cggs.vic.edu.au by 5.00pm on Friday 14 December 2018. Please click below to view nomination form. All submissions will be reviewed by the Nominations Committee and will be kept strictly confidential. Short listed applicants will be invited to attend an interview with the Nominations Committee early in 2019 and a recommendation will then be made to the CGGS Council. All applicants will be informed of the outcome of their application. Imagine you are at the corner of Burke and Canterbury Roads on 11 February 1920. At that particular time there might have been some sheep being driven along Burke Road. There certainly wasn’t a church on the corner but there was a church hall and the first Vicar of St Mark’s Church, the Reverend Hubert Brooksbank has been advised to build the hall before the church knowing there was a need for Anglican schools in this region. On 11 February 1920, 8 children; 5 little boys and 3 little girls, none over 8 years of age rather nervously entered St Mark’s Hall and I think there was an equally nervous teacher, Miss Dorothy Collier. It is important to acknowledge significant milestones in our lives. The year 2020 marks a major milestone for our fine school. Camberwell Girls Grammar School will celebrate its 100th Birthday. Whilst our school has changed remarkably since 1920, we remain faithful to the inspiration and courage of our Founders. In 1927 the school moved to our Torrington Street site and was formally named, St Mark’s Church of England Girls’ Grammar School. This new name signified our transition to a girls school. 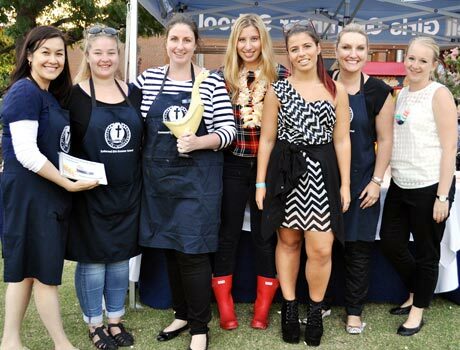 Throughout our history, we have been known by six names with the change in the late 1990’s culminating to the name of our school today – Camberwell Girls Grammar School (CGGS). Each decade has provided opportunities and challenges for CGGS. The dedication and collective efforts of parents, staff and council members have ensured that the school, not only survived, but grew through the difficult first decades. These included the Depression and changing attitudes towards girls’ education. After almost 100 years, the school has adapted and strengthened in response to societal and educational changes. We have been ambitious in the education of girls and the development of the school. Our School has indeed been partly shaped by society’s expectations and by Victoria’s educational policies and theories of learning. However those in charge ensured that the School stood firmly against the swamping secular materialism. As a result Camberwell held fast to that Christian ethic that underpins the School Motto, paraphrased as useful Christian Service. The early decades of the 21st Century provide a different social landscape to that of the early years, yet these principles remain relevant. We are committed to service and educational excellence, within the context of the development of the whole person. There are many dimensions to the growth of an individual and the world needs citizens who live and lead with heart and mind. I am delighted to annouce that in our Centenary year, we will honour our past, look forward to the future and celebrate many wonderful occasions with our extensive CGGS community. The five rings in our Centenary year logo represent the 5 school values that CGGS is built on, Integrity, Commitment, Respect, Hope and Courage. We would welcome anyone who is interested in assisting with the coordinating and planning of these events to please make contact with Jane Harris, our Director of Advancement, via email at harrisj@cggs.vic.edu.au for further information. I look forward to sharing more details about our celebrations over the forthcoming months. One of our CGGS Counsellors, Beth Sarlos, has prepared an article to help highlight the importance of the range of emotions experienced by young people in their development. It is an important reminder of the complexity of our emotions and the importance of teaching and supporting our children in how to manage them. If you have any queries or would like to discuss this further please don’t hesitate to contact Beth Sarlos, SarlosB@cggs.vic.edu.au or Paula Kolivas, pkolivas@cggs.vic.edu.au, our two School Counsellors. Recently I watched the 2015 animated children’s Pixar movie ‘Inside Out’ with my 8 year old nephew. For anyone who has not seen it, the movie tells the poignant story of an 11 year old girl, Riley, who has to move from her home town of Minnesota to San Francisco and the film documents her emotional experiences as she navigates this major transition. The audience gets to see inside Riley’s head and introduced to her various emotions, personified as characters, Anger, Disgust, Sadness, Fear and Joy. The film addresses issues of loss, growing up, loss of friendships, loss of childhood, loss of the known and all the emotions associated with these losses. One of the major struggles in the movie occurs between Joy and Sadness. Joy, the ‘control freak’ emotion, is always positive and upbeat. Joy furiously tries to suppress Sadness, the gloomy, negative and down in the dumps emotion and keep her in control. Outside of Riley’s head, her parents are also wanting her to be happy and to put on a brave face through this difficult transition. They are unable to recognise that what Riley probably needs is validation of her feelings and the opportunity to feel sad, to feel hurt and out of control and to miss her friends back home. The movie made me think about the messages society gives us about happiness, the push to focus on being happy, to stay positive and the pressure to avoid negative feelings of sadness, anger, regret, shame, envy and anxiety. Yet, despite this push towards feeling happy, in western society we are seeing escalating rates of depression and anxiety in our young people. Ask any parent what they want for their child, and the answer they would offer is that they wish their child to be happy. Parents naturally want to protect their children from suffering and hardship. It is difficult to see our children upset, to see them sad, crying and emotionally out of control. It taps into our own fear of being out of control, it raises our own anxiety and we feel the need to fix it for them and to make them feel better. As parents we have difficulty sitting and tolerating their negative emotions. How many times do we tell our children to, “cheer up”, “don’t cry”, “don’t be sad”, “don’t worry”. We have an urge to make our children feel better and to attempt to quickly find solutions if we or our children feel depressed, stressed, anxious or overwhelmed. However, psychologists believe that in overprotecting and shielding children from negative emotions, they cannot fully develop, they don’t understand and are unable to tune into their emotions or know what to do when difficulties or problems arise. Teaching children and adolescents to sit with negative and emotionally out of control feelings, validating these emotions and teaching them to tolerate that feeling, assuring them it won’t last forever, and teaching them to learn techniques to manage it, is important. Essentially, we need to teach them to self soothe, a skill which will be beneficial through their whole life and which makes them feel more able to tackle stressful situations and consequently become better problem solvers. In the movie, it was only after Riley’s sadness was acknowledged and validated by her parents and at the same time Joy realised the importance of Sadness and moved aside, that Riley was able to move forward. Riley learnt that it was OK to feel sad. A recent study found that society’s focus on overvaluing positive emotions and undervaluing the negative ones, as well as regarding sadness and anxiety as maladaptive, may have an unintended consequence. Rather than reducing depression it may inadvertently make it worse. If we are to be emotionally healthy we need to be in touch with our negative emotions and need the validation of these feelings from people around us that all emotions are valuable. This of course does not mean that someone in distress needs to accept these feelings and not do anything about it. If distressing or depressive feelings are persistent and completely overtake one’s life and prevent them from doing things they previously enjoyed, then a referral to a psychologist, GP, counsellor or other helping professional is important. It is vital to let children and young people know that there is nothing wrong with how they are feeling, but know that there is help available. Recently, psychologist Dr Susan David, has introduced the term, ‘Emotional Agility’ to describe emotional acceptance and tolerance. According to her, Emotional Agility is “being aware and accepting of all your emotions, even learning from the most difficult ones”, to not be frightened of emotions and in the process become better at navigating life’s ups and downs. > In Year 7 English, there is acomprehensive study of short films where the exploration of emotions both positive and negative are analysed. As humans we are constantly faced with good times and bad, pleasurable times and painful times. In life, for both adults and children, we sometimes encounter obstacles and problems and in facing these obstacles we are likely to feel a range of emotions which are negative and need to be perceived as normal levels of sadness, depression and anxiety. We don’t need to be happy all the time. We don’t need to always overate positivity at the expense of neglecting all the other negative emotions which are equally as important. In doing so we can help our children develop the life-long skill of moving through moments of fear, anxiety, sadness, and other difficult emotions, as opposed to denying their existence. Susan David sums this up well, “When we talk about agility, diversity and inclusion, all the trademarks of the modern, innovative world, we must begin with our emotions. Diversity isn’t just people, it’s also about what’s inside people, including diversity of emotion”. Dejonckheere, E., et al,(2017, April), Perceiving Social Pressure not to feel negative effects predicts depressive symptoms in daily life. David, Susan, (2016) , Emotional Agility: Get Unstuck, Embrace Change, and Thrive in Work and Life. In January, the school bell rang at the commencement of the Year 7 Welcome Ceremony. Today, for only the second time this year, it rang again, at 3.25pm, to signify the final day of secondary schooling for our Year 12 students. With courses, enhancement programs and trial exams completed, a number of oral and performance exams already done, our Year 12 students and teachers are fully focused on the final examination assessments. As staff, we feel very proud of the girls as they have worked consistently, collaboratively and with the goal of achieving their best throughout the year. I would like to take this opportunity to thank all of our Year 12 students for their leadership at CGGS, and on behalf of the community, wish them all the very best in their final examinations and for the new and exciting opportunities that lie ahead. 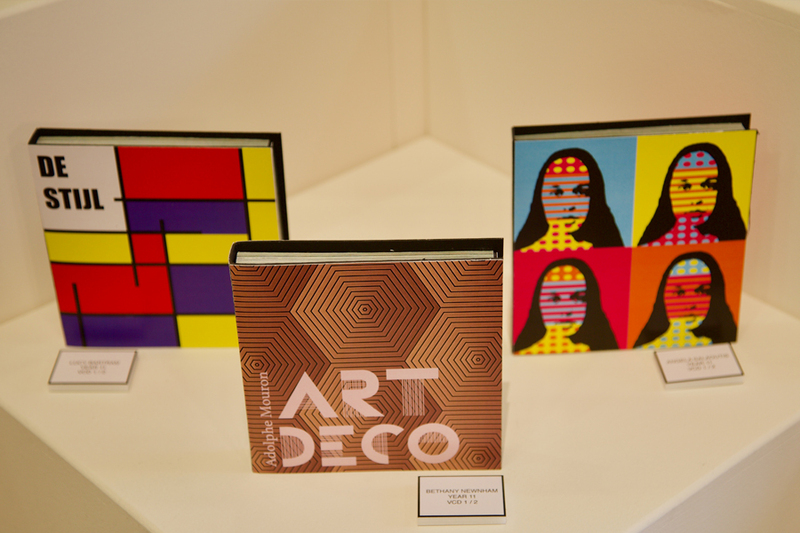 Last week I opened the VCE Art Exhibition in Robinson Hall, where our VCE Studio Arts and Visual Communication and Design students showcased their work including their folios that documented their journey. 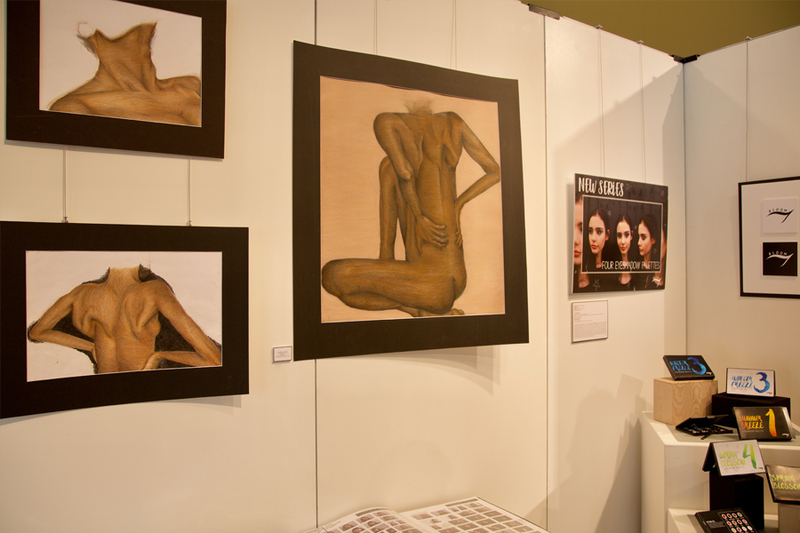 Thank you to Mrs Woodward and her team for bringing this exhibition together and for supporting the girls through many hours of portfolio development. Last night our Year 10 – 12 Presentation Evening was a highlight, showcasing the incredible performing talents and contributions of our students and academic achievements, as we reflected on 2018. Today we also had time to share some fun together as the Year 12 girls celebrated and entertained us with more humorous reflections. 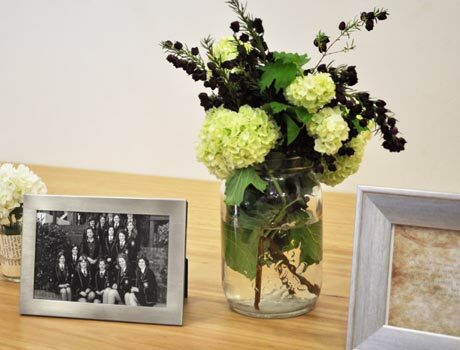 Next week we look forward to our Leavers’ Service and Valedictory Dinner. Throughout this time we must remember that this important milestone is not just about finishing school and receiving an ATAR ranking, it is about celebrating a young person’s journey and contributions to the world, as well as sharing in their hopes for the future. Schools are not just places to learn, they are places to grow as person. The first 13 years of schooling is fundamental to the holistic development of a young person. Whilst it is easy at the end of Year 12 to just focus on an ATAR result it does not define the overall development and growth of the young person. 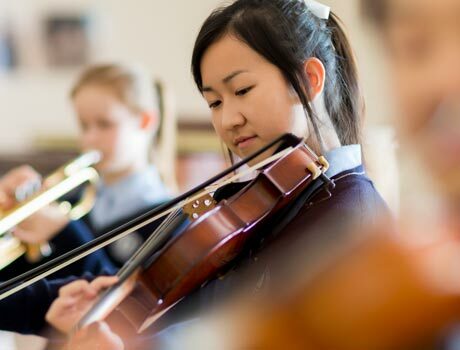 As our Year 12 students complete their secondary education at CGGS, we will also be celebrating their contributions as leaders, as active compassionate citizens, as creators of music, art and theatre, as active participants in their local communities, as supportive mentors and role models. We celebrate our capable young women who are ready to embark upon new journeys to create a more just and sustainable world. I would like to thank our 2018 School Captains for their strong and enthusiastic leadership. Lydia Baird, Molly Ewens and Sarah MacKinnon have led with great integrity, enthusiasm and sheer hard work. 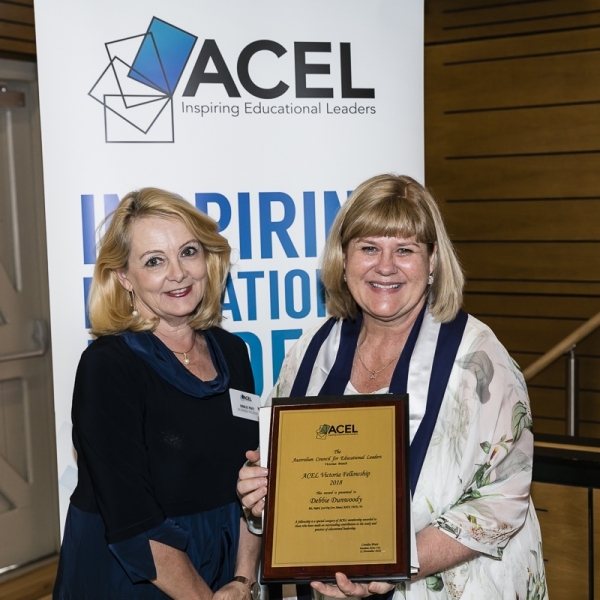 They have spent time alongside students in many year levels to provide support and encouragement when needed and have been focused on providing opportunities that will engage students to help them feel recognised and known. I would personally like to thank Lydia, Molly and Sarah, it has been a real privilege to work closely with them. > Our Year 9 team including Eloise Webster and Olivia Pietralla won first prize in the group division of the National Plan Your Own Enterprise Competition! The competition is open to all secondary students throughout Australia and mainly receives entries from Years 10 – 12 students. > 62% of our entries into the Science Talent Search this year have won bursaries. > Five Year 8 students have advanced through to the State Finals in the National History Challenge. > Our CGGS Chess team won second prize in the Victorian Secondary Schools Girls Championships, only half a point behind the winners. Emily Lin also won an individual medal. I am pleased to be able to update you on some enhancements to the Senior School programs in 2019. During the last few years we have been creating opportunities for students to develop enterprise skills including financial literacy in Years 9 and 10. I am excited to let you know that in 2019 we are introducing a new core Year 8 Commerce subject called Markets, Magistrates, Money and Me. This program has been designed to help students understand the influence of individual actions on the economy, the laws that shape our society in this regard and how individuals access relevant financial data and information. How they plan their own spending to be wise consumers as well as consumer rights and responsibilities. The students will also learn how to trade shares using the ASX Sharemarket Game and how Australia trades with its global economic partners. This subject is designed to lead into the Year 9 program that was introduced this year titled Power and Influence. To support these new initiatives, Mr James Henderson will be joining the Commerce Department in 2019. James is a VCE Business Management Assessor, has held many educational leadership positions at previous schools, has participated in our VCE Enhancement Programs for a number of years and will be a Year Level Coordinator at CGGS in 2019. Another VCE assessor joining us in 2019 will be Mrs Kim Hepworth who has also worked with us in our VCE Enhancement Programs for a number of years. 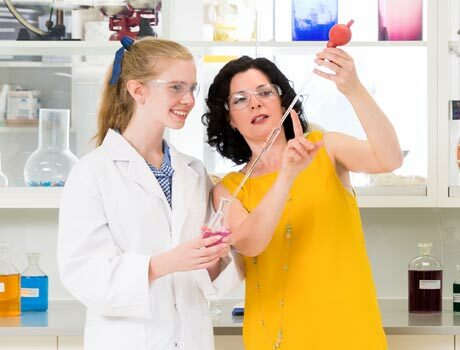 Mrs Hepworth has held a number of senior leadership roles in her previous schools and in addition to teaching VCE Chemistry and Biology will also be a Year Level Coordinator next year. To further support our students in their Mathematics education, we will be introducing an additional class in each year level from Years 7-10 in 2019. The structure and timetable at each year level will include groupings that, through ongoing assessment, will also enable movement between groups if and when applicable. > An Accelerated Mathematics Pathway (Years 9 and 10 only) to ensure that algebraic thinking and reasoning processes are established to provide the foundation for acceleration. These developments will provide further support, flexibility and challenge for students in their Mathematics programs as they move towards VCE. To staff these new programs, I am delighted that Ms Paige Tan, a highly experienced teacher and Mr Alistair Shaw, a leader in Mathematics education in his current school, will be joining us in 2019. Mr Brent Woodlock, our Head of Mathematics, will be providing students and families with more information on this new structure and groups through a written communication in early November. 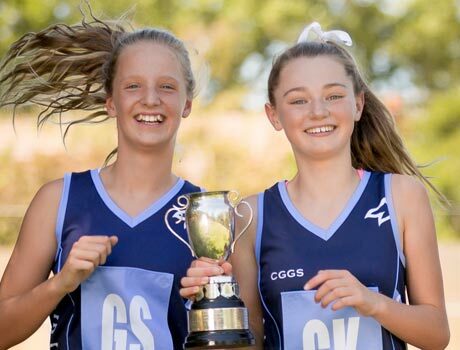 In other staff news, I am also delighted to extend my congratulations to Lexie Joyce, CGGS Netball Program Coordinator, who is the recipient of the Boroondara Express Distinction Award for Outstanding Contributions to the Boroondara Netball Association. This award was given to Lexie for her contribution to grass roots netball at BNA, whilst playing for the Boroondara Express Victorian Netball League Division 1 team. As I mentioned at the end of last term I was very fortunate to travel to the USA on the ‘Leading Learning that Matters’ study tour, concluding with a residential at the Harvard Graduate School of Education (HGSE), where I worked directly with the Director and a number of key faculty members. During this time I attended a number of lectures particularly around leadership as well as working with researchers on how we are developing our programs to enhance the ‘learning that matters’ at CGGS. It was a very productive and affirming experience and I look forward to sharing my learning with you during the term as well as some exciting plans to continue to work with HGSE throughout 2019 at Camberwell Girls.